We here at LMS Website Services have coined a term: "Managed Websites". While we do offer high end website design, our main focus is Managed Websites. Having a website is the foundation for any new or established company but that is just a start. Having a website is a good first step but will it be found on the Internet? In our experience, once you have procurred a company website, then you need to market it. Building a website will not insure being found on the Internet. Once we have designed, built and launched a new website then the real work begins. We will manage the website from the building of the initial structure to marketing it to your potential customers. Everything we do is with marketability in mind. What good is a website if it can't be found in the local search results? Our staff here at LMS Website Services will work every month on your website to bring it higher up in the search rankings. Our Managed Website Plan includes monthly SEO. You will have a dedicated team working for you in every aspect of local search. Getting you ranked higher and being found more often in search results. Being found more often in search results should lead to more click throughs to your website which in turn will lead to more sales for you. Managed Website Plans Will Pay for Themselves! The money spent for a Managed Website Plan will pay for itself many times over in time. This plan is an investment in your future! After your website is built, our monthly Search Engine Optimization will slowly build the relevancy of your website. Google presents websites in search according to relevancy. If Google feels your website is relevant to the search query entered then they will show your website in the search results. The more relevant to the search your website is, the higher Google will show it. The higher your website shows the more click throughs to your site! You get the idea. Our goal is to have our customer's websites show as high in search results as possible! This process we've developed for Managed Websites will slowly but surely build the quality of your website. Everything we do will slowly build upon itself until your website is a powerhouse of quality, relevancy and importance. There are no quick fixes in the Internet world (at least in the white hat world of SEO, black hat is another story). Everything worth having takes time, work, effort and of course money. Build Your Internet Presence the Right Way! Our Managed Website Plans will slowly build your website presence the right way! Trying to con the system to be found sooner and higher up in the search rankings could result in Google banning your site entirely. This could be catastrophic to your Internet marketing strategy. We will and do push the envelope but won't take the risk of using black hat SEO practices. Our Managed Website Plans are very affordable and will bring value to every company trying to get a good Internet presence. We Do Offer More Internet Marketing Plans As Well! For some people a basic website will be enough. For others, our affordable Managed Website Plan will do the trick. 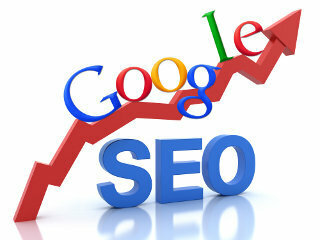 Still other companies will need a much higher level of SEO and we can provide this service as well. Some industries are very competitive and every company in it's space is spending lots of money on Internet Marketing and SEO services already. To compete within these industries a more robust SEO plan is what will be needed. We can create a custom plan designed just for these types of instances. * Disclaimer: $50 per month for the basic website plan. Includes hosting, monthly site maintenance, security updates and backups. Initial custom design fee may apply. 5 page site. More pages can be added for an additional fee if needed. Copyright © 2016 lmswebsiteservices.com. All rights reserved.